If you've not noticed yet, I have this growing love for modern African fashion. In fact, about 50% of the events I cover annually on the blog revolve around this subject of Ankara fashion and the trends associated with that. Speaking of which, I recently had the privilege to sit down with Adeola Yunusa, the designer of Studio One Afrique and her daughter Alexandria Alli who is also a designer and the proprietor of a very successful brand called F&W Style. Dress Like A Gent ™ is super proud to announce a collab with Studio One Afrique as a brand ambassador with the focus of marketing their beautiful custom designs both online and abroad. 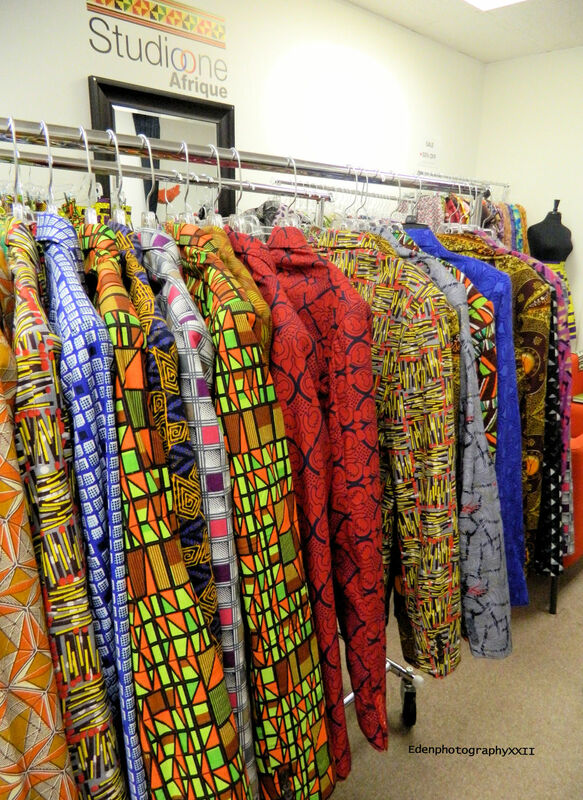 The first time that I came across Adeola's beautiful printed blazers was at last year's Culture Shock Show backstage prior to the show. Immediately, I was enthralled by the detail and tailored look of these blazers. It was like love at first sight! That year, I had an opportunity to interview Adeola regarding Studio One Afrique, but it was not until here recently that I was blessed to secure a relationship with the Adeola as a brand ambassador which will allow me to further market and showcase these amazing designs for men. Adeola, a native of Nigeria, tells us that she has witnessed the evolution of the brand since she first started designing in 1991. We spoke about how much African fashion has emerged in this country and she shares that when she first got into designing, she would make clothes for her children. She says they loved the print, but weren't really feelin' the designs itself. As for most people who are reluctant about investing in this aesthetic, there seems to be this preconceived notion that African fashion is all tribal-looking and unflattering. However, Adeola shared with us how she was able to hear the cry of her children to start creating pieces that were more modern and youthful. She also says that she wants people to "feel the power within" when they put on her garments and that she even takes time to pray blessings over them before they go out into the public. For me, that's a win win! Stay tuned to the blog for more info on Studio One Afrique and their upcoming events in the city. To purchase, please visit www.StudioOneAfrique.com. You can also follow SOA via Instagram at @studiooneafrique.